At the bottom right-hand corner of Mint, right-click on the current date and time and select Configure. Check Use a custom date format. 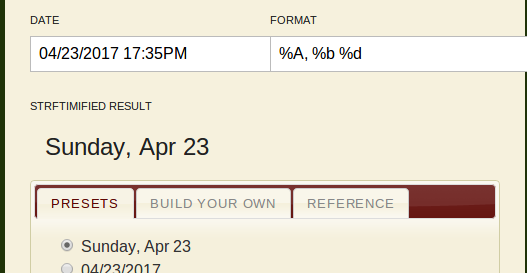 Select Show information on date format syntax, which opens http://www.foragoodstrftime.com. At the For a Good Strftime website, bullet the date and time format you would like to use, and copy the format (%A, %b %d in this example). Paste the format into the Date format field (%A, %b %d in this example).